A penetrating and refreshing analysis of the contribution of military and commercial logistics to the operations of the BEF on the Western Front. An Unappreciated Field of Endeavour is not a comprehensive examination of British Expeditionary Force (BEF) logistics on the Western Front, nor indeed a short history. To achieve the former would involve several volumes and the latter would omit much fascinating detail. It does however bring a new and fresh perspective by analyzing, in a series of engaging essays, the critical contribution of particular components of military and commercial logistics to the preparations and operations of the British and Empire Armies in the prewar period and during the Great War on the Western Front, through the lens of specific elements and themes, each of which, cast penetrating light into dark corners of an important, yet mainly forgotten story. An Unappreciated Field of Endeavour explains how prewar strategic, economic, political and defense dynamics constrained military logistic resilience but influenced the plans to rely upon commercial assets to support military and naval operations, before examining the role of the commercial railways and mercantile marine in the planning, preparation and execution of Defence mobilization and movement in the United Kingdom during Transition To War in 1914. The role of British railways in playing a defining part in a critical moment of European history is explored in depth as are the technical processes and managerial interfaces that enabled them. The contribution of British commercial and business leaders and managers to enhancing the combat capability of the BEF is examined through the lens of the increasing industrialization of logistic support to operations. In particular, the influence of commercial practice in improving military logistic efficiency and effectiveness, whilst also subtly changing military culture is matched to the dynamics and frictions of employing commercial logistic advisers in the operational environment of the Western Front. Whilst, the exploits of the combat elements of the BEF in 1914 have been analyzed in depth, the contribution of the logisticians who kept the BEF in the fight has effectively marched into the mists of time. 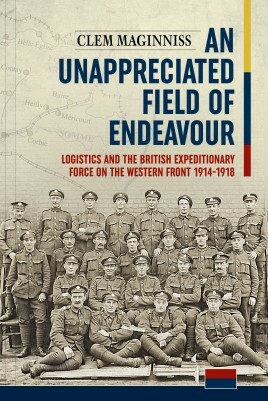 An Unappreciated Field of Endeavour explores the success of the BEF’s Quartermaster-General, Wully Robertson, in utilizing the skill of his logistic planners and soldiers to deliver the agile operational logistic capability that was the salvation of the BEF in 1914. Also examined, is the long forgotten but extraordinary logistic feat of deploying Indian Expeditionary Force A to France, through the mobilization and transportation of its soldiers across deserts and oceans before its complex logistic integration to the BEF in France. The solutions to the challenges in executing these operations by military and civilian logisticians from Britain, France and India, offer unusual insight into Coalition cooperation from three culturally diverse countries. Rarely studied, logistic planning, resources and execution played a crucial role in the preparations for the Battle of the Somme. These important aspects are analyzed to highlight a developing capability, the military 'learning curve' of which, is of at least equal significance to those in the operational and tactical environments. The influence of the BEF’s Wheeled Motor Transport (WMT) component upon the operational art on the Western Front is reviewed, including its impact upon the deployment and employment of armor, infantry, artillery and aviation. These were all affected by the expanding use of WMT, creating a requirement to improve its efficiency and effectiveness. Logistics were fundamental to the use of tanks in the Great War, an aspect comprehensively examined, to assess how transportation in particular, constrained the development of operational deployments. An Unappreciated Field of Endeavour also analyses how, in 1918, the BEF’s logisticians were able to generate the capability to sustain All-Arms mobile three dimensional combat operations in a chemical warfare environment, whilst maintaining the momentum of the advance, having focused mainly upon supporting siege warfare for the previous four years. The corporate memory of the commercial aspect is even more faded than the military one but it was an essential component of the British and Empire endeavors on the Western Front and is lucidly exposed. The combined military and commercial story has many facets: innovative people, constant training, emerging technology, developing doctrine, fresh ideas, new equipment, maturing experience, complex planning, increasing mechanization and relentless industry. An Unappreciated Field of Endeavour draws these threads from the bobbins to weave a colorful pattern of achievement, whilst illustrating how logistics evolved to overcome complex challenges and in doing so, transformed operations, creating a Great War legacy that links to defense logistics in the 21st Century, particularly in the expanding arena of contractor support to operations. Logistics however, do not swim alone in the military pond. At the operational level, the role of logistics is to develop, sustain and regenerate combat power to ensure that the tempo and effectiveness of the operations maintain momentum. Equally, logistics places constraints on strategy and tactics. On the Western Front, the BEF’s enormous logistic capability was not an end in itself but a vital means to achieve the military aim, an observation as valid today as it was in 1918. Great War military logistics, not generally perceived to be racy, has, for far too long, held its light behind a bushel, its practitioners, from General to Private, long gone and the experiences they had and lessons they learnt, lying in dusty volumes in archives and libraries. An Unappreciated Field of Endeavour brings their important work to life, whilst assessing the significant aspects and identifying relevant lessons for military logistics in the 21st Century. Clem Maginniss was born in Coventry and educated at Ratcliffe College Leicester and at the Royal Military Academy Sandhurst, and holds a Bachelor of Arts in Modern European History and International Relations from the University of Warwick. He served for 40 years in the Regular Army, the Territorial Army and the Army Reserve, first in the Royal Corps of Transport and then the Royal Logistic Corps. A graduate of the Army Staff College Camberley, he has held a range of fascinating National, NATO and United Nations appointments involving mobilization planning, railway operations, medical logistics, combat engineer support, tank transporting, officer training, flood relief, infrastructure development, estate management, humanitarian assistance and the Foreign Office. 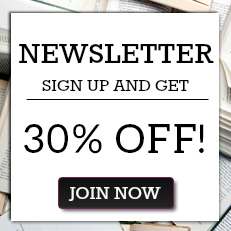 He has written extensively for the British Army Review and the Royal Logistic Corps Review on logistic history, doctrine, operations and equipment but An Unappreciated Field of Endeavour is his first book. His interests are Great and Second World War military and naval logistics, underwater exploration, ship-wreck research, defence archaeology, railway heritage, keeping fit and a range of outdoor pursuits. He lives in Norfolk with his wife Edwina.